While the field of pharmacy continues to broaden and deepen in terms of job diversity, there is at the same time a growing concern about the number of available pharmacy jobs. I remember when I graduated from pharmacy school. Employers were typically lining up to woo pharmacists into their stores. There was a real shortage in those days, and salaries began to escalate quickly in order to attract qualified candidates into employment. But those days are, for the most part, gone. And the evening out of the supply and demand means that pharmacists today must be prepared to consider the benefit of utilizing experienced and connected agencies to help place them into open positions. But job scarcity is not the only reason for considering a staffing agency to help you achieve your career goals. 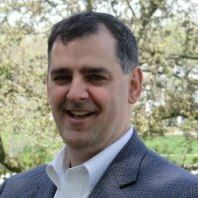 So I was glad when I was able to connect with Tom Alig, VP at Indispensable Healthcare, a pharmacist staffing company in Michigan, to answer a few questions about the staffing industry and about Indispensable Healthcare in particular. Tom’s LinkedIn profile contains some glowing recommendations from those who have worked with him. He is a true leader and professional, and it is an honor to introduce him to my readers here at The Honest Apothecary. 1) Tom thanks for taking the time to talk with us here at The Honest Apothecary. Could you begin by telling us a little about yourself and your history with Indispensable Healthcare? Indispensable Healthcare started in 1998 and I came on board in 2004. I am the VP of Staffing Services. I wear many hats but am primarily responsible for recruiting all staff, as well as the sales and day to day operations of what we call Interim Staffing – the temporary staffing part of our business. 2) Could you give us a brief overview of Indispensable Healthcare’s staffing business? Also, what geographic area do you especially focus on? 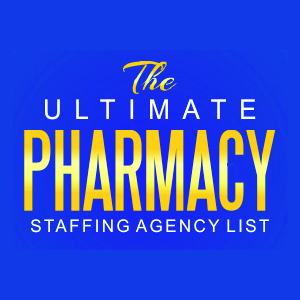 Our staffing business is finding pharmacies and matching them with pharmacists and pharmacy technicians. We provide our clients professional staff during the times they need extra pharmacy help. This can include medical leaves, short term staffing crunches, vacations, or simply every day temporary expertise. Maybe a pharmacist on their team moved out of state and they haven’t been able to fill the position. They can contact us and we can help them through that period of time. Geographically, right now most of our business is in Michigan, though we are eager to expand into the Midwest and beyond. 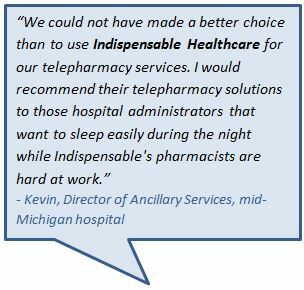 3) What are the advantages for a pharmacist in working with a staffing company like Indispensable Healthcare? Several of our staff have full time jobs with hospitals or retail pharmacies, and work with us on the side. We offer a great way to supplement income, as well as a flexible schedule and a chance to broaden skill sets. In addition, many of our staff through the years have done such a great job for our customers that our customers went ahead and hired them directly, providing either a change in employer or a new full time position for the pharmacist or technician. It’s a great way for the pharmacist or technician to see what the client location is truly like before hiring on, and it is also perfect for the client in that they get to see the type of performer they will be hiring. 4) There are a lot of concerns about saturation in the pharmacy job market. As someone who has a finger on the pulse of the market, what are your thoughts about the future for pharmacist jobs in the U.S.? It sure is changing, isn’t it? With the push to achieving Provider Status for pharmacists, to the ever increasing role of MTM, to hospitals becoming more dependent on technology, and to Assisted Living and Nursing Home facilities becoming more reliant on personal attention for their residents, the role of the pharmacist is changing and will continue to change. Will insurance companies and consumers embrace Provider Status? Will mail order drugs be tolerated by patients and the employers? Will it become more mandated by the insurance companies and government? As video and EMR technology continue to evolve, will pharmacists be able to serve more patients than ever before, reducing demand for the overall pharmacist profession? Or will the reverse be true: once data is available to pharmacists to intervene on behalf of a patient, will the practice setting change entirely? Have the major chains truly reached a saturation point? Will their business model change to one where they can service the patient at the patient’s location, rather than forcing the patient to come to them? Will new pharmacy schools continue to open, or will some be forced to close their doors due to lack of demand? Will the overall U.S. economy improve to the point where a pharmacist who is a second wage-earner in a family doesn’t need to work, where the family doesn’t need the extra income, will exit the workforce? 5) What advice would you give to a pharmacist looking to either find a job or make a career change in this market? The pharmacist needs to have what I call “aggressive patience”, and needs to be able to give of self. Both easier said than done. Let me explain. In the past a pharmacist might be competing with three or four other pharmacists for a given position. Now he or she is competing with 30 or 40 other pharmacists, at least, for that same given position. Some of those 30 or 40 pharmacists are looking to change jobs, some are new grads, some are between jobs. So the interview preparation needs to be crisp, as always, and there are many resources out there that can help you with that. But the pure math of the situation tells you that you’re going to be looking for that pharmacist job much harder and longer than you were in the past. This is where patience comes in. The “aggressive” part of “aggressive patience” means to actively work your network, actively pursue any and all opportunities, and actively do your job search. Don’t wait for the phone to ring or to receive an email. Make the calls, have the lunches, do your networking. Many times we at Indispensable will know of a job opportunity before it is advertised. Keep in touch with us, or someone like us, and you may learn of a position that few others know about. Give of yourself. Network before you need a job. Join an organization and be active in it – a national or state pharmacy association; a photography club if your hobby is photography; Habitat for Humanity to help out those less fortunate. Join something and be active in it. Give to the group. They all need coordinators, speakers, and members to do other duties above and beyond showing up. It doesn’t have to be a lot – most groups are very welcoming of any additional support they receive. As you get to know people in the group, you will come across those who are looking for a new job, or for a recommendation for how to upgrade their kitchen. Help them out. When you find yourself in a time of need, you will have a ready-made network available to help you. Following up on that, join LinkedIn and participate in their groups – actively answer questions in your area of expertise. There are many, many groups specific to pharmacists and pharmacy technicians. Connect with people, answer questions in the group discussions, be viewed as someone who gives great advice/information. When it is your time to need help, you will have a place to turn. On another note, if you’re not getting interviews, have a pharmacy colleague whom you trust review your resume for possible ways to improve it. Don’t be defensive about it – seek out actual, honest to goodness criticism. 6) Does Indispensable Healthcare work with other healthcare professionals, in addition to pharmacists? At the present time we work with pharmacy technicians in addition to pharmacists. We have several pharmacy technicians working with us every day who continue to do a great job for our clients. 7) Is there anything about the way Indispensable Healthcare operates that tends to set it apart from other competitor staffing agencies? I think what sets Indispensable apart for both our clients and our pharmacists and technicians is the many different ways we can provide service. As we’ve discussed, we provide day to day staffing. In addition, we have three other parts of our business that can help, depending upon the situation. One is we provide telepharmacy services after hours, on weekends, and sometimes even during regular pharmacy hours. Our telepharmacists work remotely with the client’s computer system, verify orders, speak with the medical staff via telephone, and provide real time service to the hospital’s patients during times in which the pharmacy would otherwise be closed. Secondly, we provide pharmacy management services. There are small hospitals that have outsourced the pharmacy department to us. Our managers are hands on, and we are responsible for staffing, inventory management, regulatory readiness, and everyday operation of the pharmacy. Finally, we own a retail pharmacy (Grass Lake Community Pharmacy in Grass Lake, MI), providing staffing opportunities for pharmacists and techs, as well as keeping up to date on the ever changing retail pharmacy world. We have clients who rely on us for both pharmacy management and telepharmacy, for instance. We have pharmacists who have done interim staffing as well as telepharmacy. Sometimes they pick up shifts in our retail pharmacy, as well. This type of diversification in terms of what we can offer both clients and professionals sets us apart. 8) How can a pharmacist or pharmacy that wants to work with Indispensable Healthcare get in touch with them? An email can be sent to our office at jobs@indispensablehealthcare.com. Once again I want to extend my appreciation to Tom and Indispensable Healthcare for talking to us here at The Honest Apothecary. I would also encourage any of my pharmacist or pharmacy technician readers to feel free to reach out to Tom for any staffing needs you may have.